Stunning “Discovery Adventure” book, full of vibrant, engaging, and densely illustrated pages with hidden treasures waiting to be found. 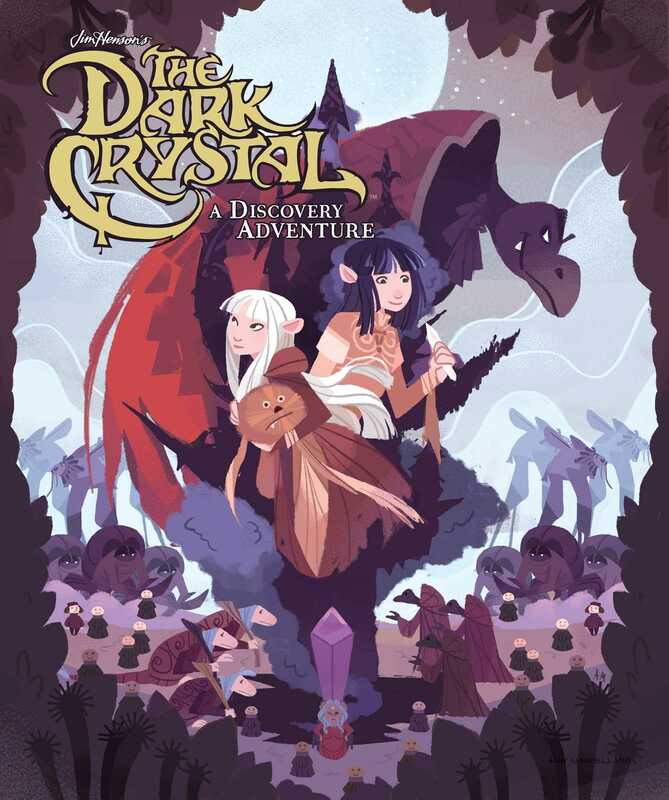 Join Jen and Kira on a grand adventure through the world of Thra in their journey to restore the Dark Crystal. Help them find the missing shard, evade Skeksis, and heal their land. Each page contains dense artwork with hidden treasures waiting to be found as readers rediscover the magic of the cult-classic film.